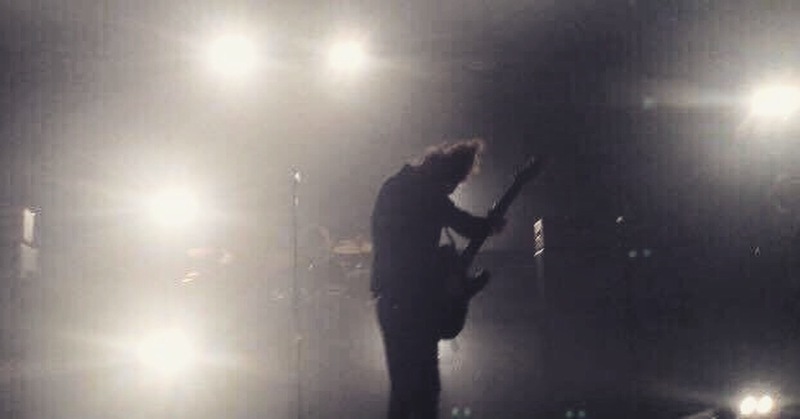 So yesterday I went to see one of my favourite bands for the fourth time at Hull Ice Arena. I felt like it was important to be there, especially because technically it was their first arena that they have ever played. To see them grow from tiny venues to a sold out arena is genuinely insane. Catfish at the moment are on their last leg of a few dates before they release their long anticipated second album, ‘The Ride’ (due out 27th May 2016) and are therefore touring with their debut album ‘The Balcony’. ‘The Balcony’ was rated 10th in the UK charts and 8th in the US Independent albums in 2014. Thus making ‘The Ride’ an incredibly exciting release for thousands of fans. Having already seen the lads a few times before, I expected nothing less than a compelling performance. I wasn’t proved wrong. Opening with the first anthemic track from their debut, ‘Homesick’ and finishing with my personal favourite ‘Tyrants’, Van had the audience in the palm of his hands. From start to finish the crowd sang every word (even louder than Van himself) and continued to possess a gripping energy which radiated and filled the entire venue. I’ve always been astounded by the crowd at catfish gigs. Every single person standing, is dancing or moshing throughout. 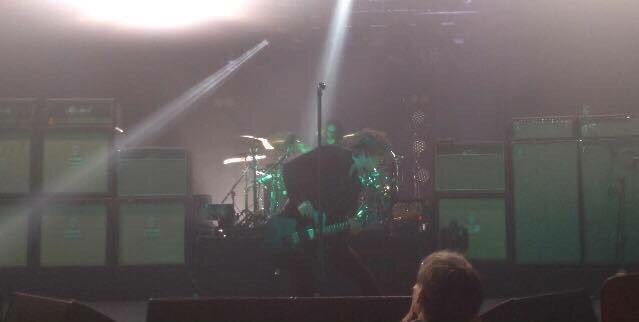 Every single person in the seated area is out of their seats screaming the lyrics and echoing Bondy’s shredding guitar solo’s and this is what makes you realise that this band are something special. Fans are queuing 6/7 hours before the doors even open, in the hope that they just might meet their favourite band members or secure their place as close as they possibly can to the stage. Each song that the lads performed was truly compelling and you can’t help but feel great admiration and a sense of pride in a couple of completely “normal lads”, of which, Van’s ultimate goal was to buy his “mam a jacuzzi”. Well I guess it’s pretty evident that Van will be buying his mum that jacuzzi haha. Adding to the increasing excitement for their new album the lads played 4 new songs including 7, Anything, Red and Soundcheck. My personal favourite is 7, after hearing it for the first time in 2015, just after their album announcement, I was completely blown away. 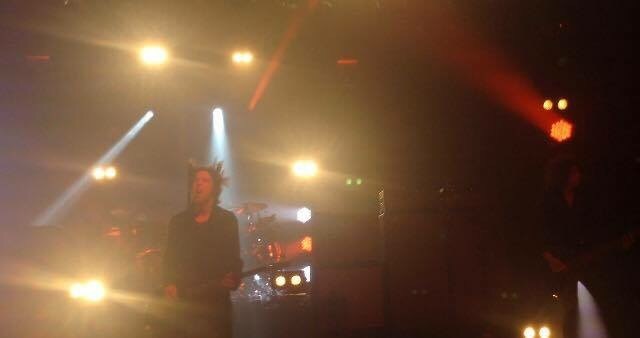 However I will admit, after hearing it live I believed that it was a build on the balcony but I was proved wrong. The studio version of 7 was released recently and I believe it sounds quite different to their balcony or even poetry and fuel roots. My personal view is that the lads have taken a step in a different direction, away from the angsty, raw almost adolescent sounding ‘The Balcony’ towards perhaps a form of maturing and slightly more ‘poppy’ vibe. Honestly, this makes me slightly nervous for the actual release as I fell in love with what I would call the heavy, gritty sound that IS Catfish. 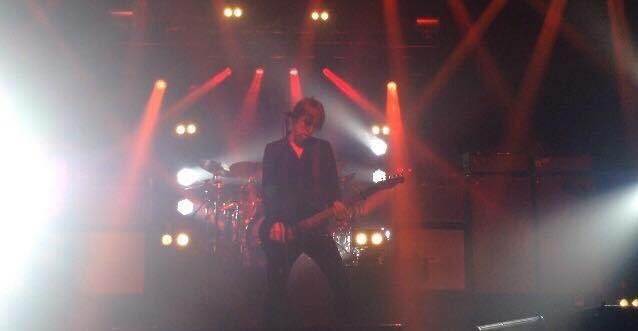 Nevertheless, I still wait in anticipation for ‘The Ride’, as regardless of the unreleased studio versions, their new songs live are sounding massive and are equally stimulating for the audience. 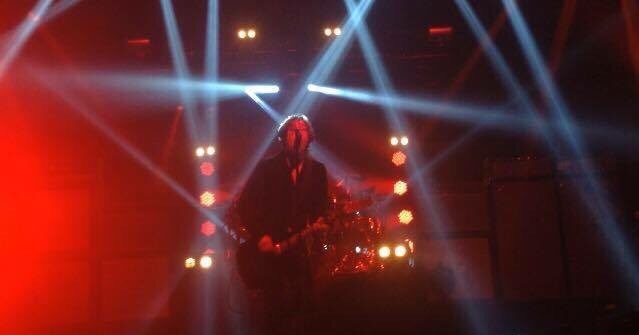 Overall, I genuinely believe that seeing Catfish at Hull Arena was the best time I have ever seen them. Tyrants is by far the most anticipated song that Catfish have made almost a tradition to play last. With countless heavy drops, quite literally taking the audience on a roller coaster and gripping lyrics, the entire crowd goes insane. Unsurprisingly, this is also when many fans choose to create massive pits and crowd surf, both are things that Van actively encourages. I guess what I’m trying to say is, I can 100% guarantee that if you attend a show you will be utterly blown away and astounded by the shear energy. Being one row just behind the barrier, I was able to capture everything from Van’s hip movements to their visually stunning lighting show and left the show with the hair raised on my arms, completely exhausted. I even overheard a security guard complaining that the barrier between the crowd and stage was broken in parts! A thoroughly enjoyable experience yet again and regardless of what ‘The Ride’ will bring, I genuinely believe this is only the beginning.